I've had a lovely literary sort of day today. I was lucky enough to be included with a bunch of other Welsh authors to www.showboat.tv.co.uk at Pembroke Dock. The ever lovely and generous Judith Barrow was in the chair for a new series of programmes called 'Cover to Cover' that will shortly be on the Showboat channel. A panel of authors chatted together about their favourite topic, writing - of course! with one author showcasing their latest production number, mine being the ghost story of The Rose Trail. It was great fun to meet up with old and new faces on the literary scene and John, the producer at Showboat TV, was a fantastic host. Leah Smith held it altogether seamlessly - not an easy task with a random bunch of creative talent! 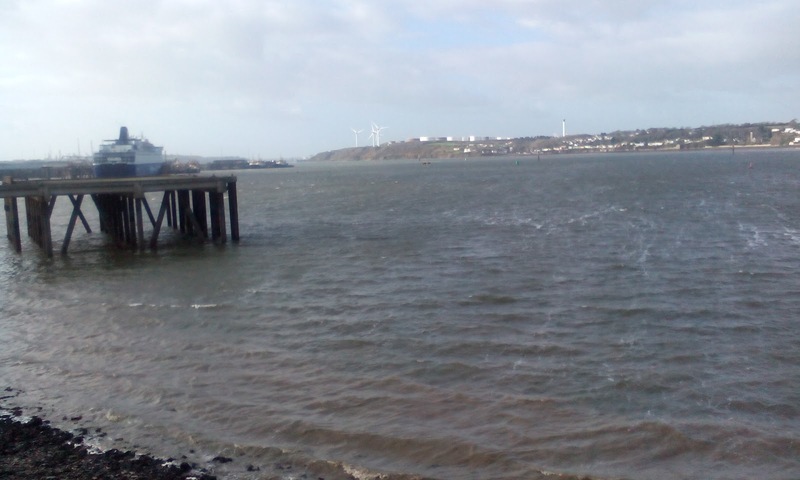 Pembroke Dock is a fascinating mix of industry, docks and old town. 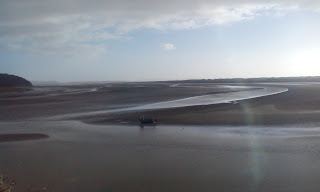 I sat for a while on the estuary to take in the scene. You can just make out the Irish Ferry waiting at the dockside. Although it is early January and the weather forecasters are predicting snow, the day felt more like early spring with blustery winds and bright sunshine. 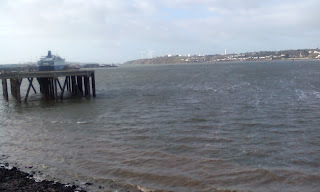 The water rushed into the estuary, roughed up by the stiff breeze. I was glad I wasn't boarding that boat. 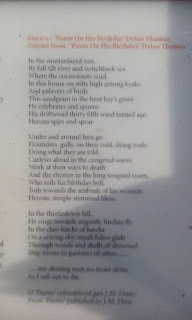 After that,I grabbed the opportunity to visit Laugharne, one of my favourite haunts for quiet inspiration. 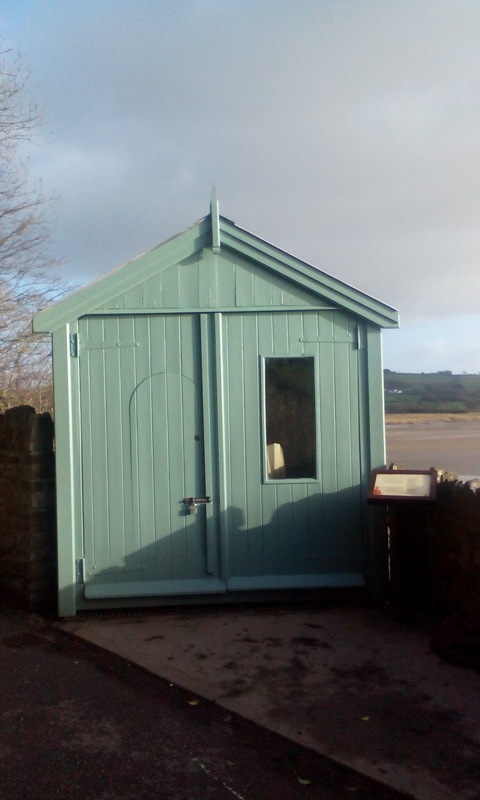 Dylan Thomas has his famous boathouse there but I prefer the garage he commandeered for his writing space. 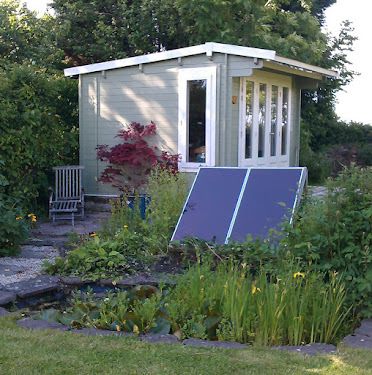 The view is incredibly beautiful and the winter sun held out through the afternoon and streamed through the shed windows, as it does every sunny morning into my very own Plotting Shed. Although I can only aspire to Dylan's lyricism, at least I can identify with his office. 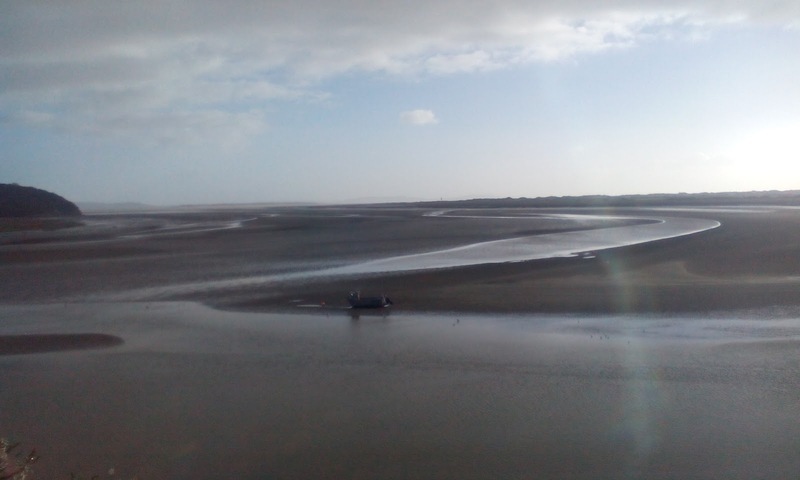 My view isn't bad but the peace and serenity of Laugharne Bay is superlative; otherworldly. I walked back along the top lane, imagining him wrestling with his conscience as he walked from his house along the path. 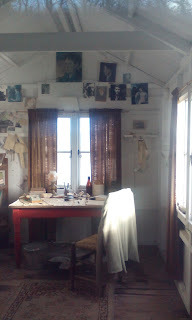 How many times, I wondered, did the promise of a pint of bitter sway him from the discipline of poetry and make him pass by the door of the little shed over the water. I pictured him, salivating in anticipation of that first bitter sip, before yielding to the lure of Brown's pub and felt I was eavesdropping on the promises he made to himself to 'just have one' to oil the wheels before returning to work. This doesn't do justice to the view, which is quite extraordinary, but the most significant aspect of this place is the utter peace. How many places can we escape the drone of traffic these days? 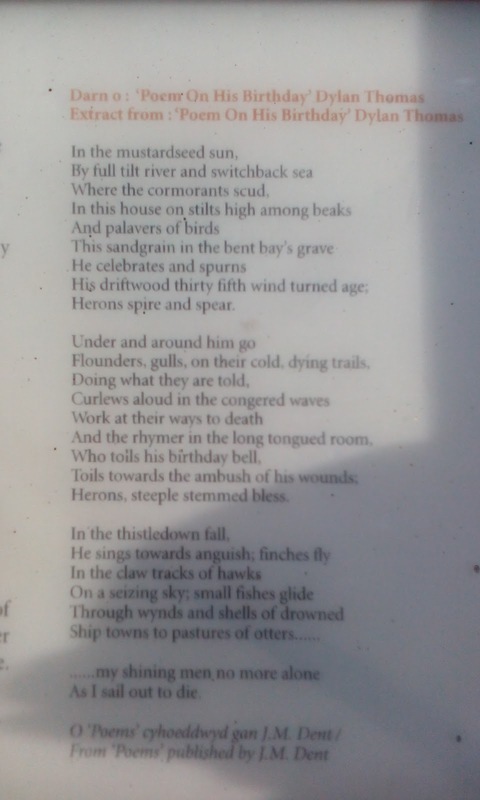 All I could hear were the gulls and the curlews and the ceaseless tide. Thank you Judith. You were a brilliant chair. I look forward to seeing all the other panels with the other authors in the series.